Thought I'd share some websites that my boys frequent. Some are just for fun and many are educational. From learning letters to reading independently. We've been visiting this one for years. My kids think it's hilarious. It's also somewhat educational. My 5 year old really likes this one. "Super Why" is his current favorite character. Again, for the 5 year old. But the 2 year old like to sit and watch. This one's for the 7 year old. He picks a character and then goes on an adventure. what websites do your kids like? Hi. I love your blog. Do you have any other suggestions as to an 8 year olds B-day party? I can throw a girl party in a minute. This boy party is locking me up. 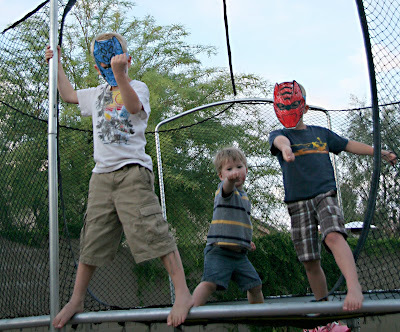 My boys have been into Superheros for a while now. So, we've done several parties similar to the Batman one. -One year, we put on the invitations for all the friends to dress up in their favorite Superhero costumes. We did an obstacle course for that one. - We also recently went to a party where they palyed all of the traditonal games (3-legged race, relay races, tug-o-war & a pinata) The kids loved it! I think sometimes we forget that they haven't been introduced to those kinds of games. -Another one we went to was sports themed. They played soccer, baseball & football. -Whenever I'm ready to plan a party, I just google "boys birthday party ideas" or something like that and usually come up with plenty of things to do. hey i'm friends with your cousin krista. i had to come check out your boys ideas. i have three boys too. 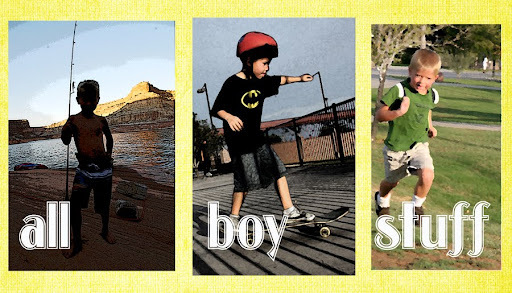 i am trying to come up with more boy ideas and crafts for my blog as well. thank you so much for the websites and great ideas! Thanks for the websites! My littles are just getting really interested in the wonderful Web! We mostly just do PBS kids. I will have to try out the other ones with them. I LOVE your blog and frequent it often. Thanks for the great ideas!